Today, you are a member of... 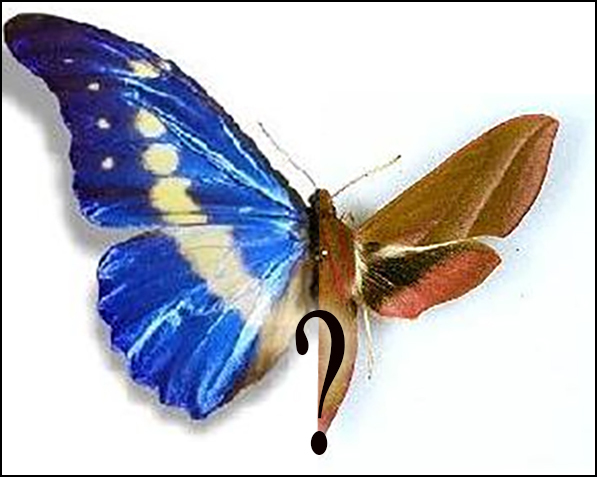 The Lepidopteran Questions - You Are A Member! Which would your rather be, Members – A moth or a butterfly? Both have lepidoteran proliferation. Both have scaly wings and noses. Both have the bitchen power to completely metamorphosize. But a moth’s posture at rest is that of defense, with wings lined flat to protect the adbomen while a butterfly takes on the air of a dandy, holding their wings upright for the world to admire. Moths like the dark and butterflies, the daylight. Moths have cultural status because of psychological thrillers and butterflies, because they are a universal sign of spring. Regardless of how you answer the Lepidopteran Question, this week in the spirit of Dru Drury, who was born today in 1724 and retired in 1789 retired to devote his life to entomology, you’ll find a suprising interest in something far afield from your day job. Best advice is to fly, fly, fly.